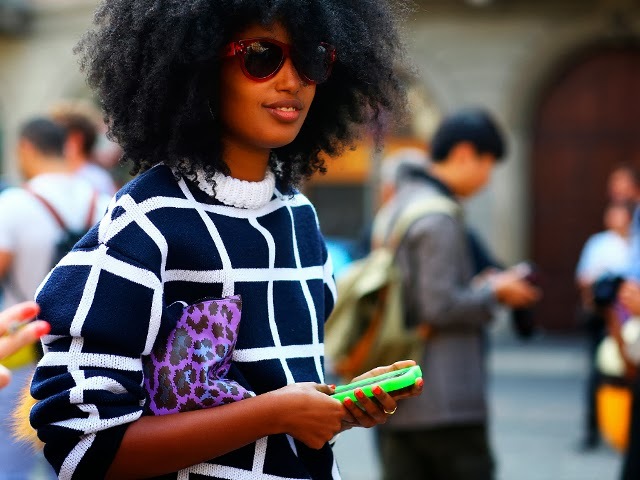 When it comes to my own personal style, I tend to love mixing high and low, experimenting with patterns and silhouettes and of course I love to infuse vintage. 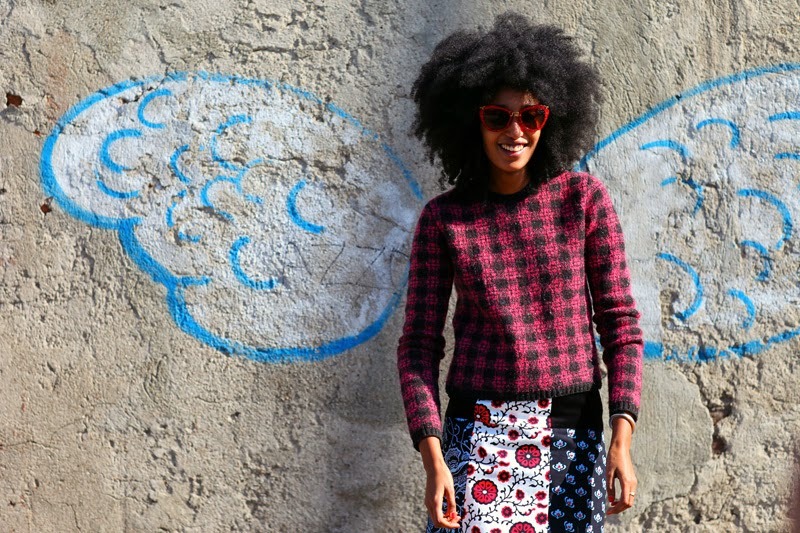 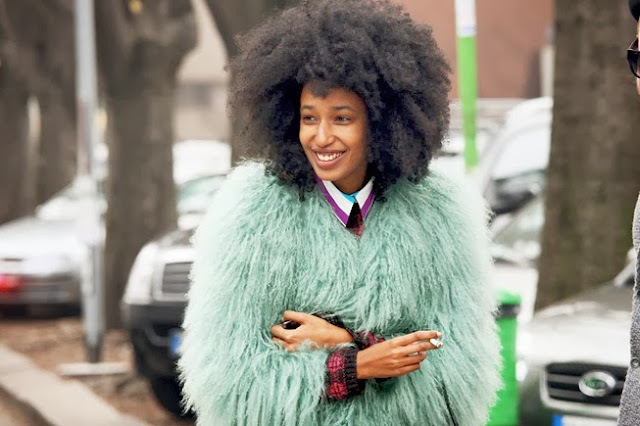 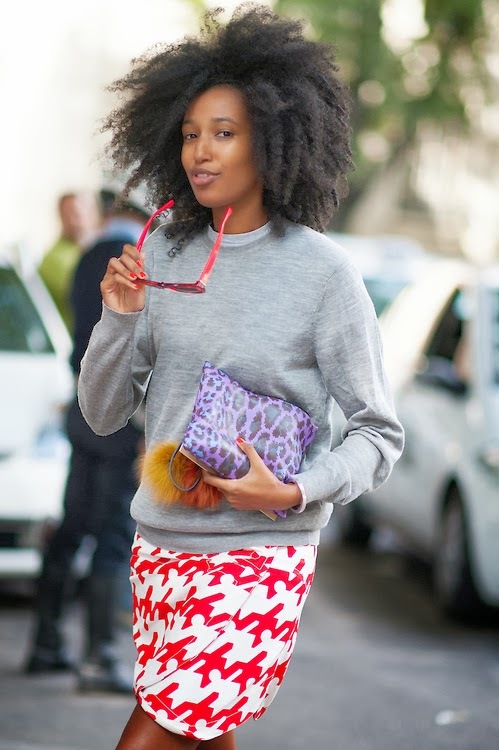 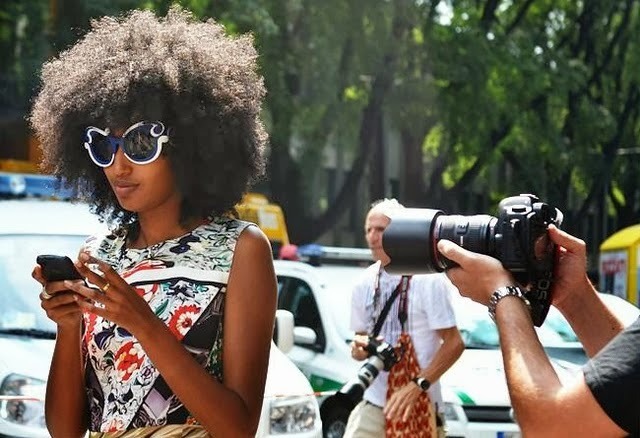 I am not really influenced by anyone in particular in my styling but I have an admiration and feel inspired when I come across photos of Julia Sarr-Jamois, Fashion Editor of Wonderland Magazine and street style favorite during fashion weeks. 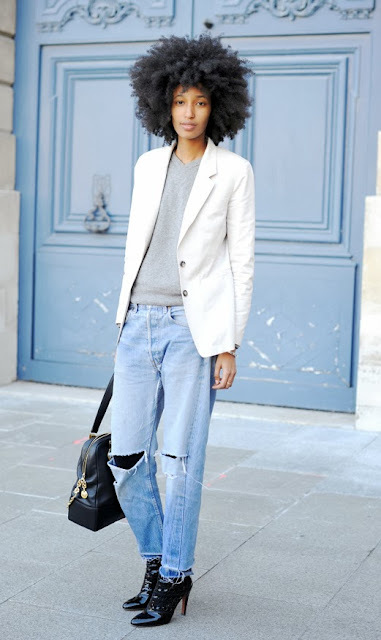 What I love most about her style is her innate ability to wear basic staples that include boyfriend jeans, sneakers, a neutral sweatshirt or t shirt and mix them with one or two statement pieces. 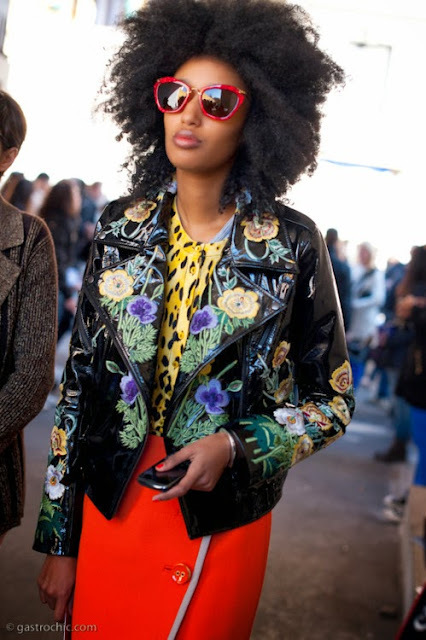 Her style never looks overly thought out yet it is eye-catching, quirky and individual. Is there someone who inspires you?